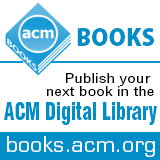 Welcome to the April 18, 2014 edition of ACM TechNews, providing timely information for IT professionals three times a week. Researchers at the U.S. Energy Department's Lawrence Berkeley National Laboratory and the National Energy Research Scientific Computing Center have found no indications the Heartbleed bug had been exploited prior to its exposure last week, according to University of California, Berkeley professor Vern Paxson. They have spent the last week analyzing Internet traffic flowing in and out of their networks since the end of January, seeking signs of a possible Heartbleed attack. Such manifestations would be found by measuring the size of any messages sent to the vulnerable part of the OpenSSL code and the size of the information request sent to the server. An attack would be indicated by the response being larger in size than the request. Paxson, who in 2007 received the ACM Grace Murray Hopper Award, says the traffic for both Berkeley Lab and the scientific computing center taps thousands of Internet systems, and widespread scanning for the Heartbleed bug would have been detected by those two key Web hubs. Observed Heartbleed attacks only started after the vulnerability was discovered on April 8, but the Berkeley research does not eliminate the possibility the bug was exploited before January. Meanwhile, four computer scientists at the University of Michigan say that as of Monday afternoon, 1.4 million Web servers remain vulnerable to a HeartBleed attack. The majority of Americans think tech developments will make life in the next half-century better, but 30 percent said they would make life worse, according to a Pew Research Center survey. Although nearly two-thirds of survey respondents disliked the idea of robots being used to care for the sick and elderly, 51 percent think computers will be able to create art as skillfully as humans do. "The American public anticipates that the coming half-century will be a period of profound scientific change, as inventions that were once confined to the realm of science fiction come into common usage," the survey's report says. The survey found many respondents were leery of some possible near-term technological advances, such as the use of personal drones and the ability of parents to manipulate the DNA of their unborn children. About half of the respondents said they would ride in a driverless car, and 39 percent said it was likely scientists would develop a way to teleport things. However, only 19 percent expect scientists to learn how to control the weather. Pew's Aaron Smith notes respondents were "especially concerned about developments that have the potential to upend long-standing social norms around things like personal privacy, surveillance, and the nature of social relationships." The European Union-funded VENTURI project taps augmented reality (AR) technology to give users a look at past and future environments. One application of VENTURI focuses on a quarter of the French city Grenoble, where participants can use a tablet or smartphone to examine the city through a virtual lens. The modern-day scene they view through their camera is overlaid with historical photos and three-dimensional (3D) reconstructions of bygone buildings. "But rather than having to view the world through your device, it should be possible to experience an augmented environment seamlessly through smart glasses, watches, and earpieces," says VENTURI project coordinator Paul Chippendale. He says VENTURI involves exploration of state-of-the-art reality sensing through computer vision and sensor fusion, and it has coupled this with intuitive world augmentation via 3D audio, Smartwatch interaction, and head-mounted displays. "It's the aim of the VENTURI project to create augmented reality applications that blend seamlessly with the user's interaction with the real world," Chippendale says. He also notes Sony's participation in the project has gained VENTURI researchers access to future visions of wearable devices, and they are working on personalized AR content based on various factors. The SuperMUC high-performance computer at the Leibniz Supercomputing Center of the Bavarian Academy of Sciences and Humanities has exceeded the 1 petaflop per second mark. The supercomputer executed 1.09 quadrillion floating point operations per second during an earthquake simulation, and the team of computer scientists, mathematicians, and geophysicists involved in the virtual experiment credit the optimization of the SeisSol software with making it possible. The speed of calculations increased by a factor of five, and the earthquake simulation software maintained this unusually high performance level throughout the entire three-hour simulation run using all of SuperMUC's 147,456 processor cores. The extensive optimization and complete parallelization of the 70,000 lines of SeisSol code allowed a peak performance of up to 1.42 petaflops, which corresponds to 44.5 percent of SuperMUC's theoretical available capacity and makes it one of the most efficient simulation programs of its kind. "Thanks to the extreme performance now achievable, we can run five times as many models or models that are five times as large to achieve significantly more accurate results," says Ludwig Maximilian University's Christian Pelties. "Our simulations are thus inching ever closer to reality." Autonomous systems must be designed and deployed very carefully or they could develop antisocial and potentially harmful behavior, according to a study published in the Journal of Experimental & Theoretical Artificial Intelligence. "When roboticists are asked by nervous onlookers about safety, a common answer is 'We can always unplug it!'" notes study author Steve Omohundro. "But imagine this outcome from the chess robot's point of view. A future in which it is unplugged is a future in which it cannot play or win any games of chess." Omohundro speculates a rational machine could practice harmful and antisocial behaviors such as self-protection, resource acquisition, higher efficiency, and self-enhancement. Omohundro's study points out designing more rational systems to protect against hackers and malfunctions is more complicated. "Harmful systems might at first appear to be harder to design or less powerful than safe systems," Omohundro says. "Unfortunately, the opposite is the case. Most simple utility functions will cause harmful behavior and it is easy to design simple utility functions that would be extremely harmful." The study suggests designing and deploying such technology should begin with developing provably safe systems that are then applied to all future autonomous machines. Johns Hopkins University (JHU) researchers have developed a system that fulfills all of a baseball league's scheduling rules, and as many of the teams' requests and preferences as possible, using thousands of lines of code. The system, developed by associate research scientist Anton Dahbura and professor Donniell Fishkind, allows 10,000 schedule limitations and even more factors to be fed into a supercomputer, which produces a workable schedule. The methodology employs combinatorial optimization, which is the concept that there should be at least one schedule that optimally satisfies every rule and team request, via a combination of integers. JHU graduate student Matt Molisani says the system's operation involves generating a massive amount of code to define a broad spectrum of schedule constraints. Each league's preferences present a challenge to programmers, and the supercomputer that processes the constraints can take as long as a month to churn out a solution in certain instances as it mines through the exponentially large number of possible schedules to find ones that conform with the rules. "I like the fact there's always so many different ways to get to the final solution," Molisani says. "There's never just one correct answer, which is weird because in math there's usually only one correct answer." Researchers at the Fraunhofer Institute's Computer Graphics Research Center have developed software that can simulate the making of complex clothing. The simulation of individual textiles begins with the fibers woven into them, as users are able to tug, toss, twist, and fold onscreen garments to get a better sense of the fabric and determine how the material would move and drape in the real world. Users can change the color map of the individual fibers to gain a very realistic picture of certain textiles, says Fraunhofer's Jorn Kohlhammer. Design drafts begin with a pattern, and the cuts determine how the software renders the swatches so they appear as they would on a real person. Users can direct their cursor to the individual seams to "sew" individual parts together virtually and get a real-time, moveable textile. Kohlhammer notes large clothing companies already are using the software, which is being presented at the 2014 Hanover Trade Fair. He says the software could potentially be used in other product areas, such as in making industrial components with fiber-reinforced plastics, modeling aircraft and ships, or in developing car tires. SRI International's Annjoe Wong-Foy is developing very small robots that can build small structures more efficiently from various materials. Wong-Foy's system involves hundreds of magnetically directed microrobots that can construct two-foot-long towers from carbon rods, and platforms that can support a kilogram of weight. The robots are small magnetic platforms topped by wire arms that move only when placed on a surface containing a specific pattern of electrical circuits inside. Transmitting current through the coils underneath steers the microrobots using software written by Wong-Foy. Although the robots' arms are incapable of independent movement, using teams of robots with different arms makes complex construction possible. The machines can assemble structures out of wood, glass, metal, and electronic components, and Wong-Foy notes "we can scale to many more robots at low cost." The robots' control software also can move the platform they sit on, and it shifts the platform every time a new layer is finished so the robots' working space remains the same as the structure they are assembling expands. SRI wants to create a version of a microrobot system that could be marketed to other labs and companies to use for experimentation. The U.S. Federal Emergency Management Agency announced a three-year, $800,000 grant to several universities to research ways to prepare for, detect, and respond to cyberattacks. The grant will support developing a new training course and updating five existing ones through the establishment of the National Cybersecurity Preparedness Consortium (NCPC). The University of Texas at San Antonio's Center for Infrastructure Assurance and Security, the University of Arkansas System's Criminal Justice Institute, and the University of Memphis' Center for Information Assurance will collaborate with the Texas A&M Engineering Extension Service and the Norwich University Applied Research Institutes to develop NCPC. Meanwhile, the University of Connecticut (UConn) with work with Comcast to launch the Center of Excellence for Security Innovation, which will be an extension of UConn's Center for Hardware Assurance, Security and Engineering. UConn and Comcast say the new center will "develop robust detection systems and analytical tools to ensure that the computer chips and other hardware components vital to Internet broadband systems are shielded from malicious attacks, unauthorized access, and faulty or counterfeit products." The key to getting humans to interact with robots in a safe and friendly manner is to have robots communicate with cues that people already recognize, according to University of British Columbia researcher AJung Moon. Handing an object to a person is a simple task, but people have difficulty figuring out when to reach out and take an object because robots do not provide appropriate nonverbal cues. Moon and colleagues studied what people do with their heads, necks, and eyes when they hand water bottles to one another, and then tested three variations of this interaction with a human-friendly robot and 102 study participants. The team programmed the robot to use eye gaze as a nonverbal cue, which made the handover more fluid. The researchers found that people grabbed the water bottle sooner when the robot moved its head to look at the area where it would hand it over or looked to the handover location and then made eye contact with the person. "Getting this to work is really important if we want robots to be helpful in fetching us things in our homes or at work," Moon says. Researchers from the Karlsruhe Institute of Technology (KIT) and the Swiss Federal Institute of Technology in Lausanne have demonstrated that miniaturized optical frequency comb sources can enable the transmission of data streams of several terabits per second over hundreds of kilometers, which could help accelerate data transmission speeds in large computing centers and global communication networks. The experiment yielded a 1.44 Tbps data rate, while the data was transmitted across a distance of 300 km. Optical frequency combs are comprised of densely spaced spectral lines with identical and precisely known distances. The researchers found that integrated optical frequency comb sources with large line spacings can be built on photonic chips and used for the transmission of large data volumes. They employed an optical microresonator composed of silicon nitride, into which laser light is coupled through a waveguide and stored for a long time. Kerr frequency combs are generated by exploiting the Kerr effect, with the result being numerous spectral lines produced by a continuous-wave laser beam, says KIT's Jorg Pfeifle. "The use of Kerr combs might revolutionize communication within data centers, where highly compact transmission systems of high capacity are required most urgently," notes KIT's Christian Koos. Okinawa Institute of Science and Technology researcher Stefan Elfwing has validated the use of robots in the study of evolution by successfully using a colony of rodent-like robots and computer simulation to observe the evolution of different mating strategies. This method enables Elfwing to watch evolution transpire over 1,000 generations in a short period of time. He programmed the Cyber Rodent colony to forage for batteries and seek partners to mate, and the experiments were computer-modeled to witness the evolutionary process over 1,000 generations in each experiment. Two main phenotypes in mating strategies evolved in scenarios in which both a battery and the tail of another robot are visible. First, a foraging robot that only went for the battery would only mate when it saw the face of a potential mate. Second, a tracking robot would wait for the mating partner to turn around for mating. This eventually led to a polymorphic population where these two distinct phenotypes co-existed within one population. In such experiments, the robots had some of the highest fitness, or fastest reproduction, indicating the presence of these different mating strategies in certain proportions offered the best chance for proliferation. The International Conference on Planning and Scheduling is using the high performance computers at the University of Huddersfield to test dozens of complex software programs submitted for its 2014 International Planning Competition. The conference organizers view the competition as an opportunity to encourage breakthroughs in the use of artificial intelligence for automated planning and scheduling. The competition is divided into four categories and the most significant is the deterministic track, which involves programs designed to eliminate any element of chance from automated planning in a wide range of fields, such as logistics, robot manipulation, satellite movement, and transport. The entrants will be tested on tasks and application domains devised and adapted by experts in Huddersfield's Planning, Autonomy, and Representation of Knowledge research group. Every domain within the track contains up to 300 problems that have to be addressed by the software, which have to run for up to 150 hours when tested. The process must be repeated for all 75 entrants and the names of the winners could be known by the end of May. The competition is held as a component of the conference, which is scheduled for June 21-26 in New Hampshire.